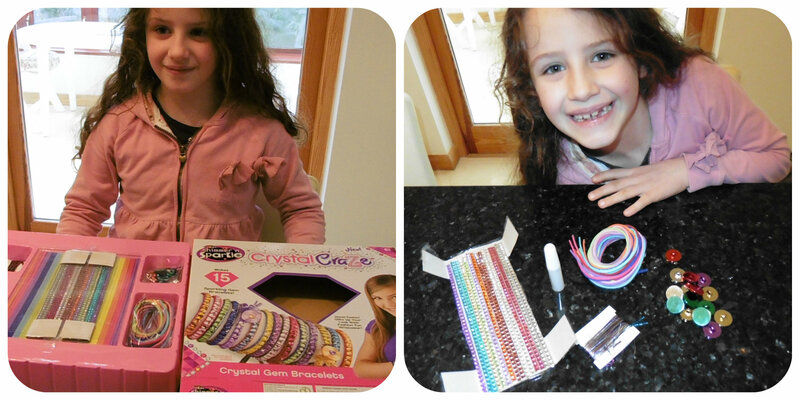 CRA-Z-ART Crystal Craze Gem Bracelets is a jewellery making craft kit from Character toys. Aimed at ages 6+, it was perfect for 7yr old Miss M to have a go at. 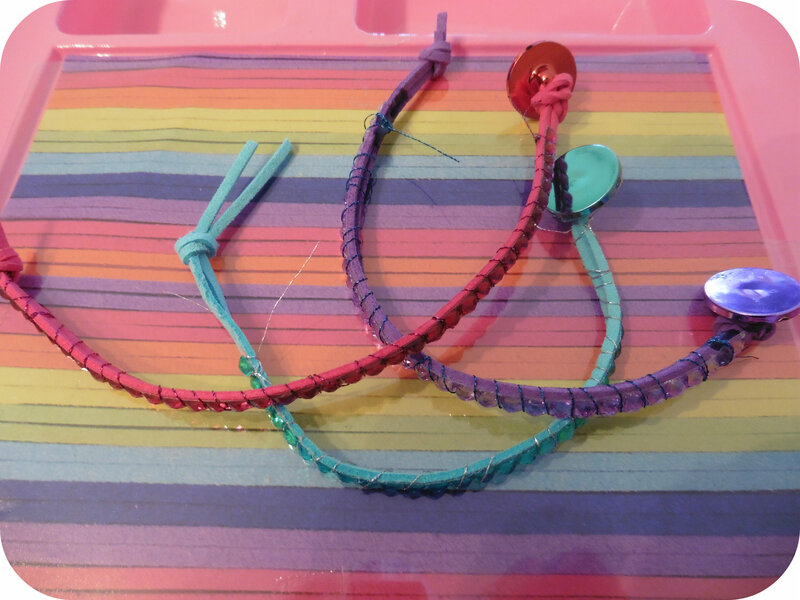 The kit consists of materials to make 15 gem bracelets each using a strip of sticky gems, a piece of coloured cord, a button, some glue and metallic thread. Miss M was eager to open the box and get started and even asked to do the vlog for me – see at bottom of post. 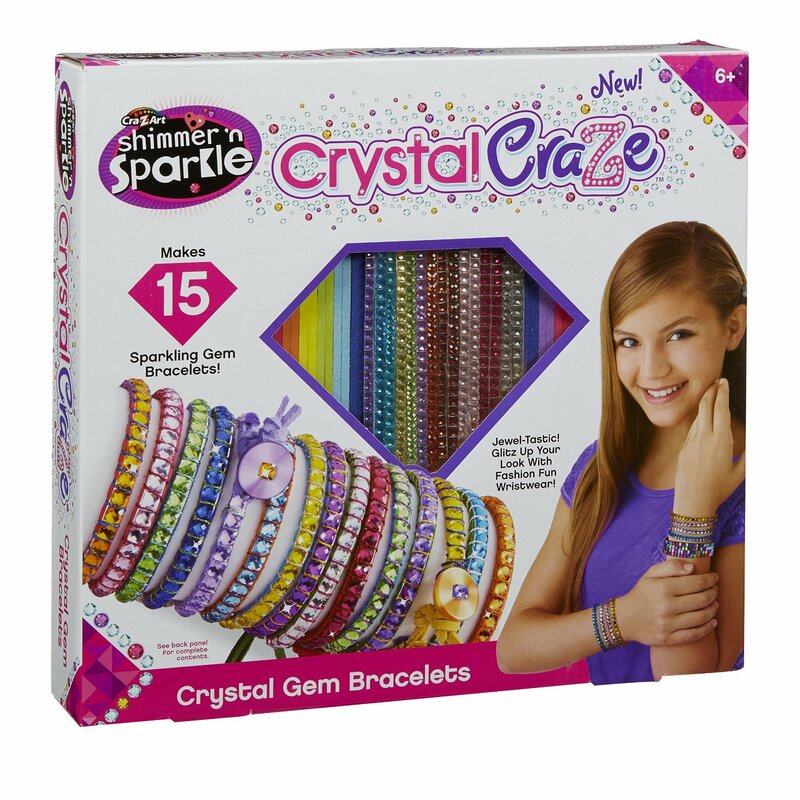 Each CRA-Z-ART Crystal Craze Gem Bracelet is made by attaching a button to a piece of cord then taping the cord to the table you are working from to keep it flat. Then place a row of sticky gems along the cord before winding the metallic thread around the bracelet, placing the strand between each gem as you go. Finally to finish of tie a knot allowing enough room for a button hole to fasten. 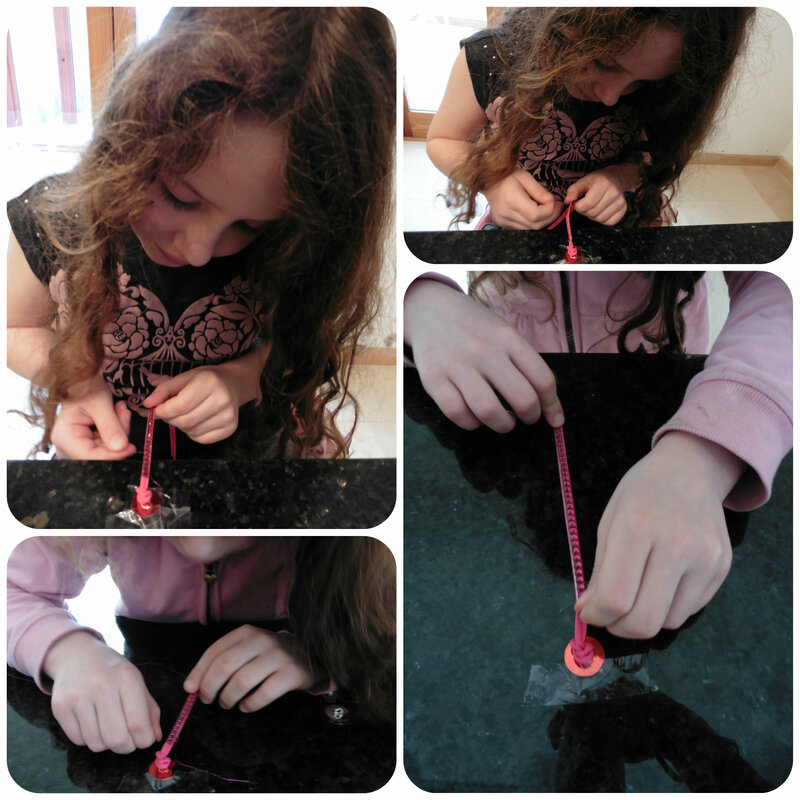 Miss M did require some assistance in finishing off the bracelets in order to get get the correctly sized button hole at the end. We didn’t realise that you need to cut the gem strip a little shorter in order to do this otherwise you run out of cord. Once we worked out how to do the first one, the following ones were easy. 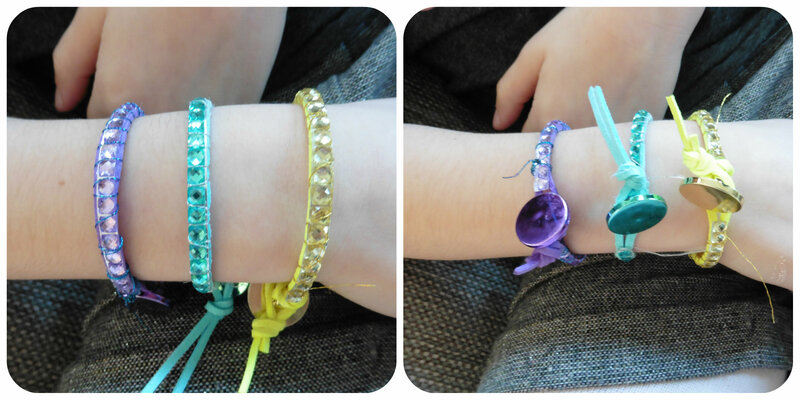 The finished bracelets are shiny and colourful and fit Miss M perfectly. She was able to put them on and off herself easily so she was very happy and enjoyed making them too. This entry was posted in Reviews and tagged art, bracelets, cra-z-art, craft, crystals, gems, jewellery, kids by Fiona Martin. Bookmark the permalink. They look brilliant! So beautiful! I think my children will love this set! They are great for birthday present! My god daughter would love these! Miss A would enjoy making these. This looks like a great kit – I can’t wait to start all of these kind of craft kits with my daughter!